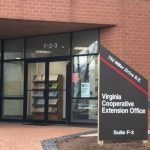 For Loudouners, native plants are both indigenous to Virginia and grow naturally in our region. Because they have thrived for thousands of years and adapted to growing conditions specific to our region, they are most often better suited for our soils and seasons. They may also provide the best habitat for birds, bees and butterflies natural to our area. However, selecting a plant native to our region will not necessarily lower your maintenance tasks. Remember that many factors determine the suitability of a plant for a particular location; so, look for native plants that are suited to the growing conditions in your yard. 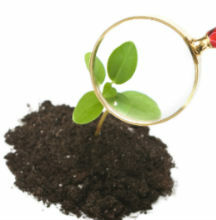 Consult your soil test results, and consider light, moisture, and other site conditions that may impact the plant’s growth. 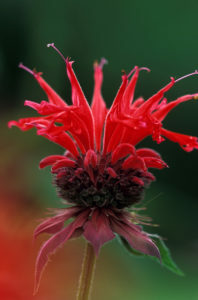 Spotlight: Scarlet beebalm (Monarda didyma). Photo by T.G. Barnes. 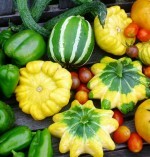 Best grown in rich, medium to wet, moisture-retentive soils in full sun to part shade. Prefers rich, humus soils in full sun, although some afternoon shade is appreciated in hot summer climates. Soil should not be allowed to dry out. 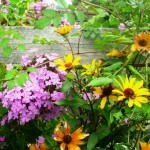 Deadhead flowers to prolong summer bloom. Divide clumps every 3-4 years to prevent overcrowding and to control spread of the plant. Provide plants with good air circulation to help combat fungal leaf disease. You will gain new enthusiasm for planting natives as the varieties are vast and the choices are many to fit your yard’s conditions. There are excellent sources for specific native plants: annuals (replant every year), perennials (return every year), and trees (see below). Observe & learn to listen to nature: weather patterns/change of seasons; what thrives/what struggles to survive; habitat friendly for birds, bees and other “critters”; water sources for wildlife. Identify and protect native plants and trees in your yard. When undertaking construction activities in your yard, create a “do not disturb” area. Heavy traffic or equipment storage should be avoided under mature trees and shrubs to help preserve established plant communities. If near a river/creek shoreline, protect the native plants; do not prune or remove vegetation at the water’s edge without first seeking proper guidelines. Creating a 2’ buffer of native plants along your shoreline is preferable. Remember: Our yard/gardens bring enjoyment, but there are “strings” attached: responsibility for its care and nourishment. We are each part of a larger circle of life; understanding our role will result in protecting, nurturing and sustaining nature.